Amazon.com description: Product Description: This is the delightfully warm and enjoyable story of an old Parisian named Armand, who relished his solitary life. Children, he said, were like starlings, and one was better off without them. 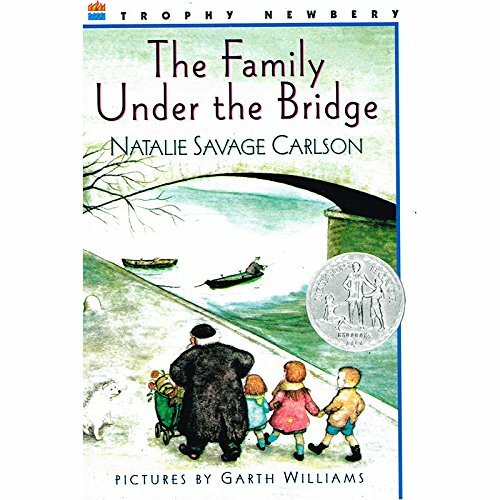 from Scholastic Paperbacks (June 1, 1972); titled "Family Under the Bridge"
About: TheÂ heartwarming and memorable Newbery Honor-winning book about finding family in the unlikeliest places, featuring artwork by beloved illustrator Garth Williams. from Harpercollins (June 1, 1958); titled "Family Under the Bridge"